Interested in giving rugby a try? Come on out to our upcoming Try Rugby Days and try rugby for free with the Toronto Dragons Rugby Football Club! 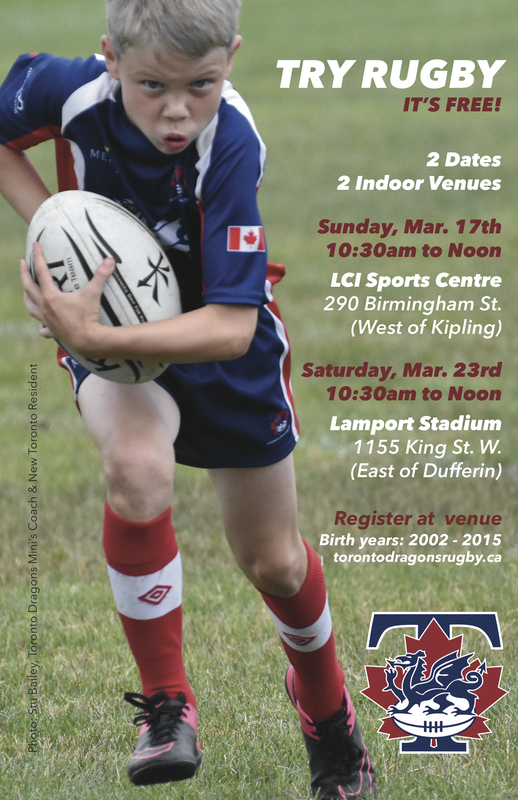 The Toronto Dragons are running two upcoming Try Rugby days in south west Toronto on March 17th and March 23rd. Boys and girls aged 4 - 17 can come out and try rugby at our free sessions. Register on-site for birth years 2002 - 2015. Contact minis@torontodragonsrugby.ca for more information.